Here at Hammel Scale, we have the knowledge, products, and experience for whatever your system integration needs are. Everything from flexible PLC communication and the speed of communication to low-profile load cells for tight spaces. 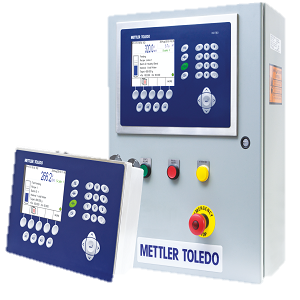 Even our terminals take on duties and control interfaces that may otherwise need to be controlled and monitored by secondary PLC additions. We know one of the main difficulties can be finding the right products to communicate with an already existing PLC. 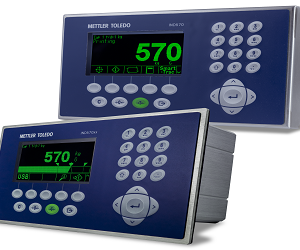 Fortunately, as a METTLER TOLEDO Premier distributor, the solutions and expertise is only an email for phone call away. From standard serial interfaces to Automation Fieldbuses, the options are nearly endless when addressing your communication needs for your system. The quick and simple LED display and keypad allow for easy installation onto a DIN-rail housing without complicated software tools. The ACT350 also supports test weight free calibration (CalFree™) fr your digital load cell applications. We don’t just have connectivity and speed solutions, we also have products and solutions to fit physical constraints. 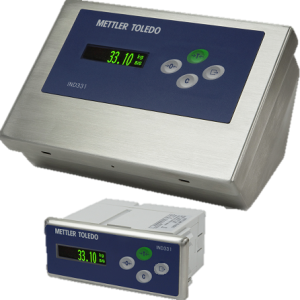 Need weigh modules integrated into an existing tank scale, but don’t have a lot of room? That’s not a problem with the 0970 Ringmounts, convert your existing tank system to a tank scale with only adding 2.3in* in height! Give us a call to see what other module solutions we offer to fit your application perfectly. Have a standard PLC connectivity you’re looking for but can’t find a terminal to plug into? 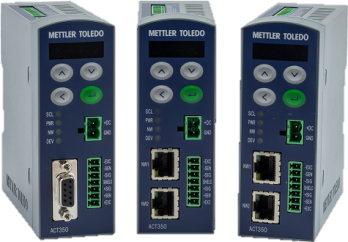 We have the solutions for you with the IND331, IND570, and IND780. *2.3 in. height on the 551-11,023 lb modules. 3.92 in. height on the 22,046 lb modules. **ControlNet available for 24 VDC models only.